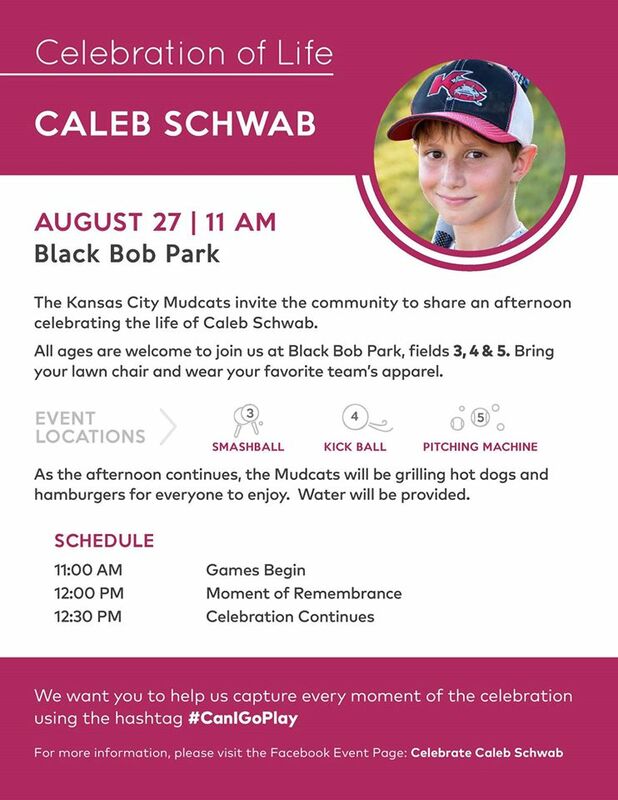 The Kansas City Mudcats baseball organization would like to invite all surrounding communities to Black Bob Park in Olathe, Kansas on Saturday, August 27th at 11:00 a.m. to celebrate the life of Caleb Schwab. 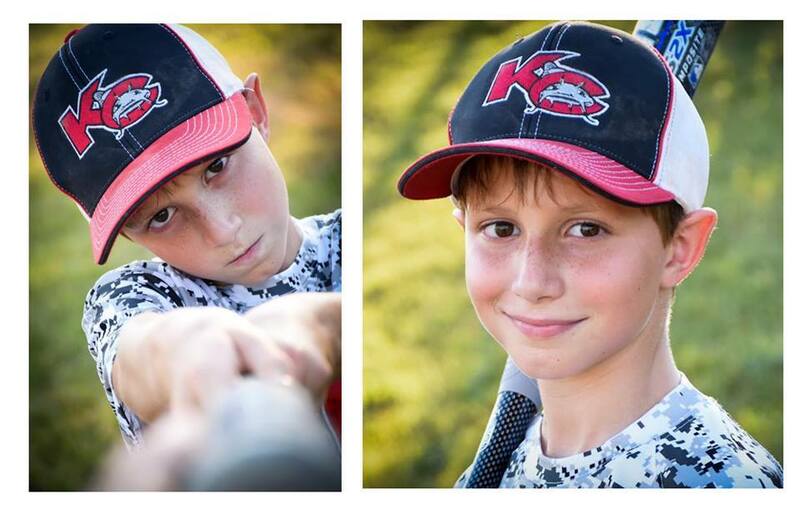 Caleb loved to play sports and enjoyed spending time outside. To recognize his passion, fields 3, 4, and 5 will have activities such as kickball, smash ball and pitching machines for children and adults to participate in. Along side these events, a variety of yard games to be available to play as well. We encourage all attendees to wear their youth uniforms or favorite sports team apparel to reflect an atmosphere Caleb would enjoy. Pictures are highly encouraged and if you would like to post them on social media please use the hashtag #CanIGoPlay. Hot dogs and hamburgers will be provided, so please come hungry! This is a wonderful opportunity to pay tribute to and celebrate the life of a young boy gone too soon. Caleb's memory will indeed live on in the hearts of all Kansas Citians. The official Facebook invite can be found by clicking here.